BlackBerry Bold 9900 available for pre-order from Vodafone | BlackBerry Blast! 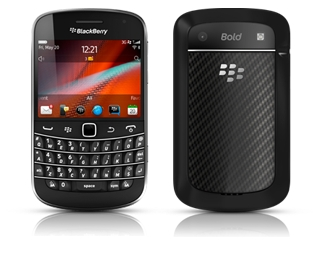 The BlackBerry Bold 9900 is now available for pre-order from Vodafone, and you can get it for FREE. If you sign up for a 2-year service plan of 1200 minutes or more, you can get the BB 9900 for free. Of course, you will be handing over £41 monthly to Vodafone. "Pre-order with Vodafone now and we will aim to deliver by 16 August." "Aim to deliver???" That's a bit of carrier CYA if you ask me. Either way, if you're in the UK you can get your hands on the BB 9900 in just a few days.